Lord Vishnumaya is considered to be the most merciful of the gods and is reputed for granting his devotees all wishes. 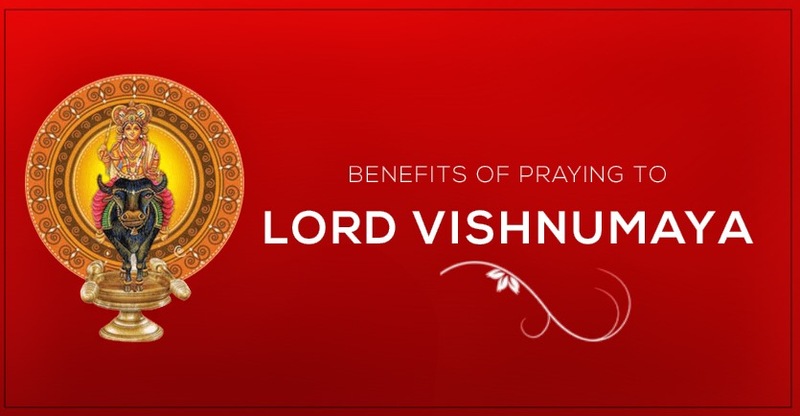 Here are some of the top benefits of praying to Sree Vishnumaya Kuttichathan. One of the main reasons devotees pray to Vishnumaya is to have a better healthy life. Praying to lord ensures one gets devoid of all ailments and a better healthy life is ensured. Aside from physical health seeking refuge under Vishnumaya Kuttichathan also gives you peace of mind and a better mental health altogether. Vishnumaya is known to grant his devotees with better prosperity in life. Devotees from around the world pray to have a better standard and quality of living and to increase one’s own and family’s prosperity. Praying to Kuttichathan ensures all hardships are solved and one gets a better overall life. This one is a common and most sought after benefit of praying to Vishnumaya. The daily life meddled with competition and rivalry, everyone of us is bound to have enemies and these enemies will always give you stiff competition in personal life and during work. Praying to Lord will ensure all the enemies in your life are no longer focused on you and that you always stay ahead of them at work and in personal life. A safe and secure job is everyone’s dream and it is yet one of the hardest hassle one common man has to face. Getting that dream job not only requires your hard work, but the guidance and blessings of the good Vishnumaya. This is one of the common benefits that millions seek at the shrine of Lord Vishnumaya Kuttichathan. Family issues are common and at some point of life things get a little too out of hand. At situations like these Visnhumaya Kuttichathan will come for your rescue. Praying and doing special poojas will help in solving all those family issues that is affecting you mentally and physically. One major life goal for many is to have a financially safe and secure life. This is why accumulating wealth is a primary goal for many. Doing special poojas will ensure you are on the right track in accumulating all the financial goals you’ve set for yourself and thus gain enough wealth for you and your family. A home is where you find peace and relaxation. But at times there are problems relating to home that will bother and affect your physical and mental life. Lord Vishnumaya ensures all your home related problems are solved by just praying and doing regular poojas. There are times when even after hours of hard work and studies you might not be getting the desired results. All the effort and late nights might seem unfruitful. These are times when you need the blessings of lord Kuttichathan. With his blessings you are poised to achieve better than what you’ve prepared for. Your success in life is bound to make others jealous and envious. These might result in others doing black magic against you. At situations like this, your rescue lie in praying and seeking the blessings of lord Vishnumaya. All effects of black magic and bad eye will not impact you or your family’s life. For those who are conceiving and having a kid, the blessings from lord Vishnumaya gives them mental support and showers the blessings to grant them with a kid.